rated for 6 amps at 12 volts. 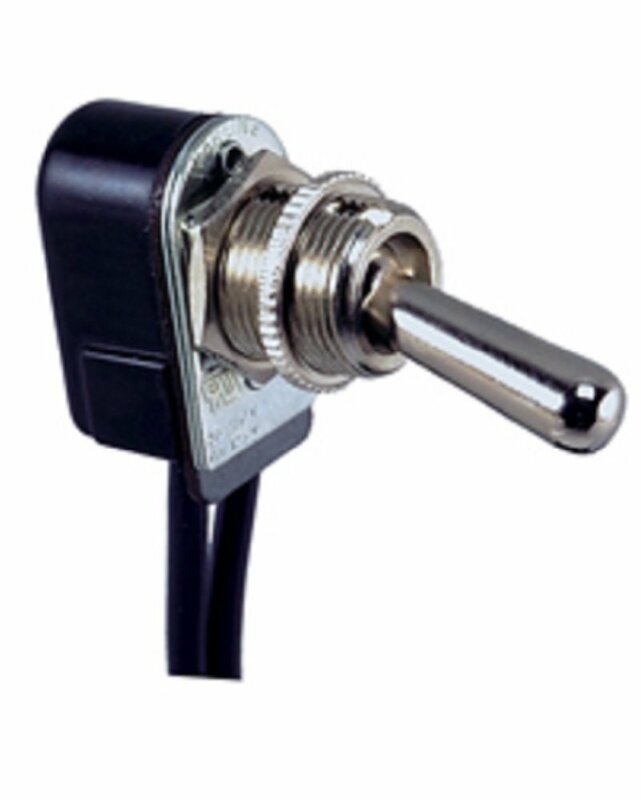 Nickel plated brass toggle with chrome plated face nut. maximum thickness of panel is 5/16". neck diameter is 7/16". 2 screw terminals.